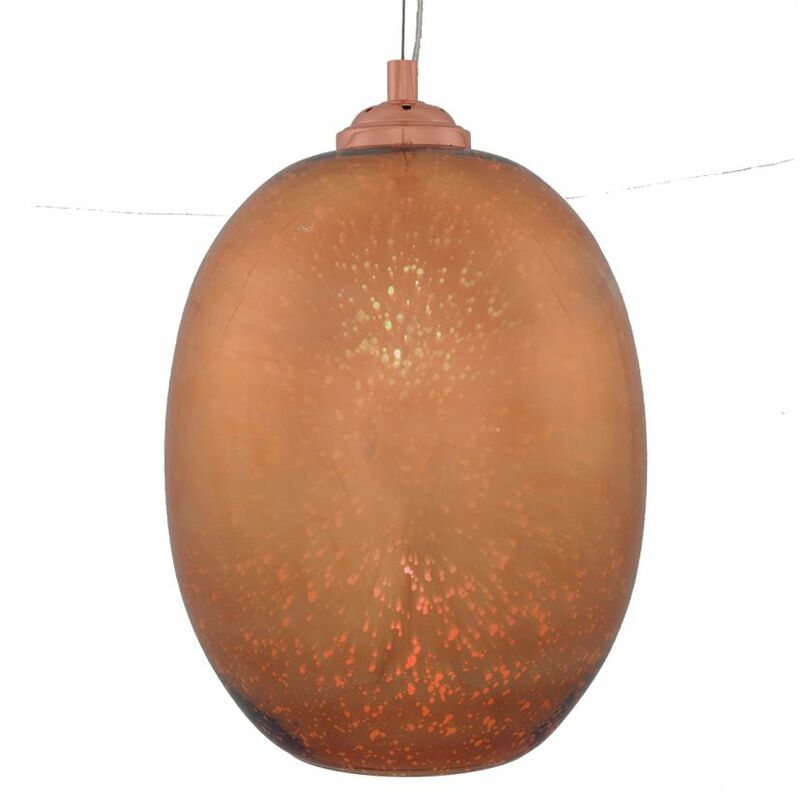 Beautiful copper finish glass elec pendant which holds a surprise! When lit the pendant glows with a 3D effect due to the way the finish has been applied in layers. It certainly adds a cosmic feel to any room.